Pirates of the Caribbean Audio Treasures! X Atencio, the script writer and lyricist from Pirates of the Caribbean, was the first to suggest to Walt that a light-hearted sea chantey might be a good way to ground his upcoming attraction in a rousing Disney-style production. After all, the scenes from the ride would tend towards grim violence, though the intention was to create the ultimate diversion. So, drawing on the timeless "Yo ho ho, and a bottle of rum," Atencio came up with a simple lyric that kept things light while maintaining a pirate vibe. Enjoy listening to these fascinating audio files from Disney's Pirates of the Caribbean. These various clips and excerpts will demonstrate some of the fun and excitement you can experience while you set sail with Disney's salty crew! 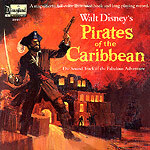 Enjoy this presentation of Disneyland Records ST3937 "Walt Disney's Pirates of the Caribbean," the official soundtrack album released in 1966 featuring the vocal talent of Thurl Ravenscroft as the narrator. 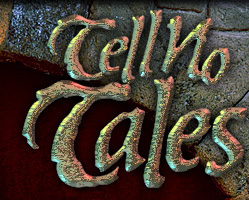 Side one features an exciting journey through the attraction, while side two contains some seaworthy songs sung by Mr. Ravenscroft. Enjoy!